Welcome to Root & Branch. My name is Genét Friess. * I am a body wisdom coach who works with motivated women who want to love their bodies and discover how to access their own inner wisdom to create optimal health and wellness in an atmosphere of love and acceptance. Most of my adult life I didn't feel well. My joints ached. My intestines felt as if I had swallowed little knives that were scraping my insides. I got canker sores for seemingly no reason. My head hurt. I was tired all the time. I would visit the doctor and come away feeling like it must be all in my head. ("Your joints aren't swollen, so you don't have arthritis..." - as if that explanation made the pain go away!) Or I'd feel as if I had unrealistic expectations about how I should feel (i.e. "I must just be a whiner who can't cope with health problems everyone has!"). It was discouraging and I started to feel like I just had to live with it. But instinctively, I knew it was not in my head. I knew there was something wrong. But I had no way to figure out what was happening. When I finally discovered that most of my symptoms were caused by intestinal impermeability (or "leaky gut") and multiple food intolerances, I was filled with relief. Someone looked at my test results and my health history and said, "Of course you don't feel well!" I felt validated and empowered to change. As I started making changes to my diet, and I experienced a dramatic improvement in my health, I was blown away. How could I have been suffering for so long when the solution was so simple? My head stopped hurting. I had more energy. My body felt functional - I could depend on it to work for me. In the process, I gained an incredible appreciation for the healing power of food and for the idea that each person's body reacts differently. I have always loved working with people. I have a Masters degree in Social Work which I used professionally for several years before choosing to stay home full-time with my children. In the last few years I have felt pulled to start working again. 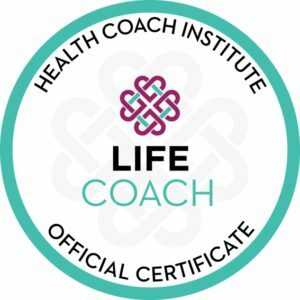 Coaching provides the perfect opportunity to use my social work counseling skills in combination with the nutrition knowledge I have gained through my own health journey. 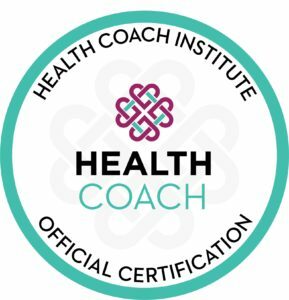 So I enrolled in a coaching certification program, and in February 2018 I completed my certification as both a Health Coach and a Life Coach through the Health Coach Institute. My health is still a journey. I am still figuring out how to fully heal my body and live my fullest life. But I love the journey. I enjoy the process of coming to understand how my body works and what it needs to thrive. And I love that part of my journey is sharing my experience with others and using that experience to help others navigate their own individual health journey to optimal health. Whether you struggle with nebulous health issues, wish you had more energy, or simply want to finally commit to your health goals once and for all - Root and Branch is the place for you! *Pronounced "Jenae Freece, " in case you were wondering! My first name is French - think along the lines of beret or beignet or some other lovely French word with a silent "t."
Ready to find out more about how to work with me?